Google is building Glass, Facebook has just purchased Oculus VR for $2 billion, and in case you hadn’t noticed, virtual-reality devices are steadily rising to prominence in our digital worlds. 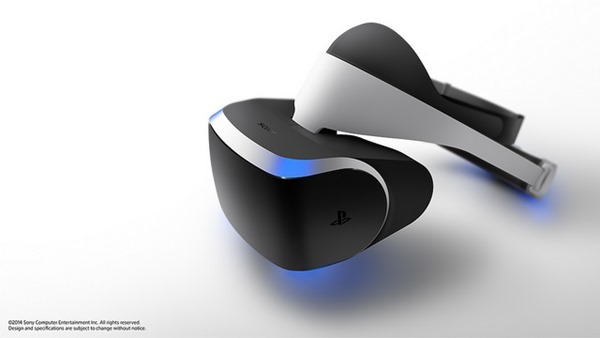 At the recent Game Developers Conference, Sony took the wraps off, and demoed, its own VR solution, known as Project Morpheus, and if you missed the original presentation, the whole announcement and demonstration session is now available to watch back. Now, given that the device bears the PlayStation logo, and, of course, was showcased at the Game Developers Conference, it’s clear that Sony’s focus with this device is gaming. At present, Oculus’ efforts have centered around the gaming world, but with Mark Zuckerberg now at the helm, the social network is looking to turn the technology into a method of better connecting the world through virtual reality. I mention Oculus here because, in many ways, Project Morpheus is a similar product with a target audience to match. Gaming will be its forte, but as the numerous updates to the PlayStation Network have suggested, Sony’s entertainment system is as much about connecting individuals across the world as it is about playing games, and as such, we could see a fierce rivalry develop between Sony and Facebook in years to come. 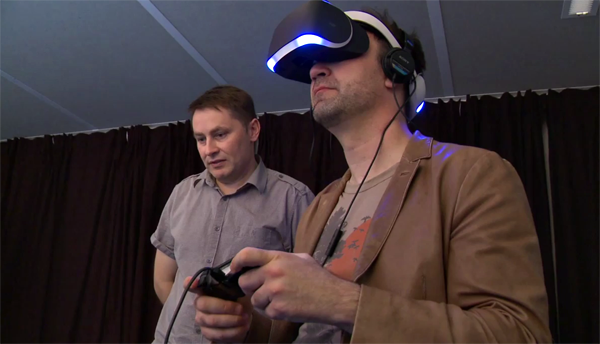 So, based upon the GDC demo, what exactly do we know of Project Morpheus? Well, it includes a wraparound 1080p display with a 90-degree field of vision that spans the user’s entire periphery, offering what Sony describes as “new levels of immersion” when playing games. Similar to the Oculus Rift, the head-mounted gadget has been in the works for three years, and although there’s no release date or price tag as yet, we do know that it will hook directly up to the PS4 via HDMI or USB, as well as working in sync with the PlayStation Camera and PlayStation Move accessories. With no solid launch date or even a ballpark price bracket to go on, you feel that Sony is already behind the Oculus Rift, which will arrive later this year for PC gamers, and with Sony president Shuhei Yoshida even paying homage to the Rift in noting that it "inspired" his own company’s work, the Japanese outfit will be heavily reliant upon the reach of its flagship console as it attempts to make Project Morpheus a success.